Being charged with a DUI is not only a frightening but also an intimidating experience. Before you know it, you will be thrust into a world that you are ill-equipped to navigate on your own. A DUI arrest can lead to jail time, suspension of your license, mandatory participation in a drug or alcohol program, fines paid to the court, financial problems, among other consequences. It is for this reason that you should never plead guilty to such charges without first consulting some of the best Orange County DUI attorneys. 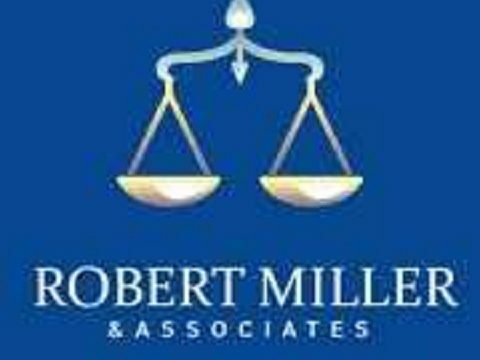 Hiring a highly trained and experienced attorney is highly recommended since they will work with you to understand your unique situation and prepare thoroughly to fight for your right both in and out of the courtroom. Cooperate with the police officer: trying to outsmart lawenforcement during an arrest is not a smart choice. It is your lawyer’s duty,after the arrest to determine if the police followed proper protocol. Allow the breath or blood tests to be undertaken Refusing totake this test during arrest leads to the automatic suspension of your licensefor one year. attorneys immediately following your arrest. What are the steps you should take after being arrested? The events that follow after being arrested and charged with DUI can lead to a complicated and intimidating process that can be too much for you to handle on your own. Understanding the process of what follows after a DUI can help ease your fears. Once you have been arrested for DUI, the DMV starts the process to suspend your license immediately. You only have 10 days after your arrest,including weekends, to request a DMV APS Hearing (Administrative Per Se Hearing)to fight against the suspension of your license. Without the representation of an experienced DUI attorney, your chances of winning this hearing are slim. If you opt to retain a DUI attorney, they should make strong objections as to the evidence provided by the DMV as well as provide their proof as to why they should not suspend your license. After that, the hearing officer should take the time needed to make a decision and the verdict will be mailed to you and your attorney. The DMV hearing is primarily about your driving privileges and the circumstances surrounding your arrest. It does not decide whether you are guilty or innocent of a criminal act. Your first court appearance in a criminal case will be the arraignment, where your charges will be read out, and you will be required to enter your plea which is either, guilty, not guilty or no contest. After the arraignment, you will proceed to a per-trial hearing. If the case is not resolved at this stage, either by having it dismissed or a plea bargain, the case will proceed to a trial. When it comes to the legal issues related to a DUI, there is a great deal that is involved in these legalities. The consequences of a DUI are so severe that every technical facet of the case needs to be analyzed to find a defense that will save your future from serious repercussions. Many facets of the investigation need to be explored by a qualified DUI attorney to give you the best possible defense. Some of the issues that your attorney may need to explore include the legality of the stop, individual health issues, the legality of the arrest, the science behind the breath and blood testing. Choosing an experienced DUI lawyer who is aware of all things about the arrest, illegal interrogation, due process, and refutation of legal guidance and penitentiary issues is crucial. Being convicted of driving under the influence, even on the first offense with no injuries can lead to serious penalties, increased insurance rates and even worse, a criminal record. Hence, you need to look for one of the best Orange County DUI lawyers to help you with your case.